If you missed #41 click here. Best Moment: Unlocking better parts to customise your ultimate Lego Racer car! Can I just say, on the whole, as a kid, I wasn't a Lego person. I don't know why. For a period of time I did like Mega Blocks, but I just wasn't that into Lego. Perhaps it's because the pieces are so damn small. Maybe I wasn't creative enough. But, I did get Lego Racers. I played a demo of it and thought it was actually a decent racing game. And then I bought the game. I just loved the idea of building my own Lego car and racing it. And as a whole, the game is actually decent. 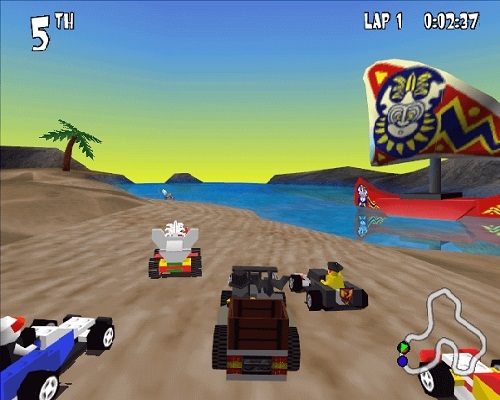 Sure it's not on the level of Mario Kart or even other similar games, but they did a decent job of this racing game. 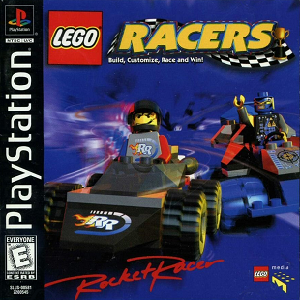 They released a sequel on the Playstation 2 and never made another Lego Racer game, which I found strange. Nowadays Lego games are a completely new thing with Lego Dimensions, and the game is doing pretty well. Lego movies are also doing well too. Perhaps with the newfound success they can create an even better Lego Racer game? I'd consider playing it, my kids would love it! Find out what came in at #39 by clicking here!